Statistics summary computes arithmetic mean, variance, standard deviation, skewness, and kurtosis. 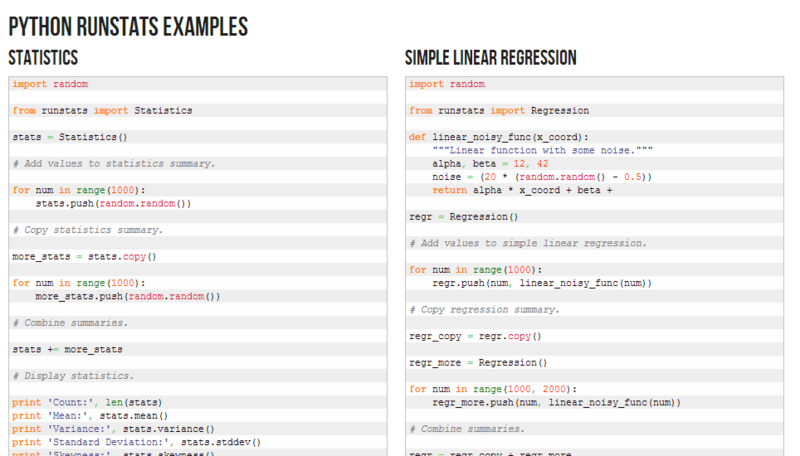 Regression summary computes slope, intercept, and correlation. Based on the Knuth and Welford method for computing standard deviation in one pass as described in the Art of Computer Programming, Vol 2, p. 232, 3rd edition. Supports combining summary objects with + and += operators. Requires only one pass of the discrete data points. Alternatively, can efficiently provide running statistics and regression. # Add values to statistics summary. """Linear function with some noise.""" 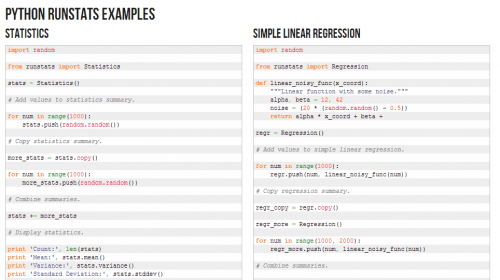 # Add values to simple linear regression.